Competition for graduate jobs is fierce. The combination of academic excellence and practical knowledge on this course will help you stand out when it comes to entering the world of work. Discover the range of careers that our graduates are pursuing. With BSc (Hons) Economics, you’ll have many options if you want a job directly related to your degree. 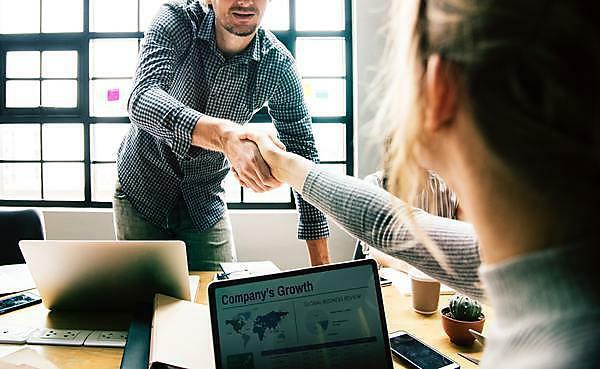 Your understanding of economic relationships will enable you to advise businesses and other organisations including insurance companies, banks, industry and trade associations, unions and government agencies. BSc (Hons) Economics will help you develop transferable skills including communication, data presenting, critical evaluation, problem solving and analysing. As an economist in the labour market division of the ONS I have a varied and rewarding job which draws on many skills learned during my degree. For example the research I undertook on the gender pay gap for my dissertation I was tasked with leading on the expansion of gender pay gap statistics that was released alongside ONS’s annual survey of hours and earnings. It became apparent to me that this could be further extended to the release of a time series of data for the last 20 years. After the successful release I had an article published showcasing these statistics which was picked up heavily by the national press. I am currently working in partnership with HMRC to transform ONS’s data collection methods to utilise more sources of administrative data. Because of my specialisation in gender pay gap analysis I was heavily involved in ONS publishing an article and data on the existence of a gender commuting gap. I Graduated from the BSc (Hons) Economics programme in September 2017 with first class honours, and went on to do a Masters degree in Data Science and Business Analytics. This experience, alongside various other miscellaneous university positions helped me land a dream job as a Data Analyst at the St. John Ambulance, the UK's leading first aid charity. In my day job, I bring forward all the problem solving and analytical skills that the Economics degree equips you with forward by analysing complex datasets and producing regular reports to inform stakeholders and ensure regulatory compliance. Above all, I go home each day knowing that I'm working in a field where I can make a meaningful difference. After graduating Andreia got a job in IT company Netap, a data management company, working across different sectors from hospitals to schools, universities and, Andreia's sector, defence. "I started as an associate working in a team that dealt with tech refreshes for customer systems and data - I generated just over £3million for my district. Just over a year into the role I was promoted to an ISSR role, which means I meet customers personally to solve any issues they may have, and deal with all their data management goals. My job gives me clear annual targets, and a lot more responsibility in dealing with contracts. I'm interested in becoming a channel manager, which would mean working with company partners located globally. Partners help Netapp in various ways from training engineers and generating business for Netapp through to finding new customers." After graduating from Plymouth University, I was not certain which career path to take. I was very committed to getting a career so whilst it may not have initially been what I wanted to do, I gained my first job working as a Trainee Recruitment Consultant. This was a great entry level job as it provided me with experience in liaising with C-level (high ranking) executives, working in an office environment, and it allowed me to gain the skills needed to build my CV to a high standard. After working in recruitment for just under a year, I changed jobs and began working as a Banking Assistant for Independent Vetcare (IVC). I work for the Europe division, Evidensia, and more specifically, Evidensia Norway. For this role, my responsibilities include managing purchase ledger payments, bank reconciliation, and improving general processes. I am also now studying to gain my CIMA qualification alongside the responsibilities of my job. I came to university from a farming background and chose economics because it sounded like a good degree and I had absolutely no idea what I wanted to do! Following university I took a few odd jobs including customer support at a drainage firm, until November when I got a graduate role on the trading desk for Archer Daniels Midland (ADM) agriculture. ADM trade flour with three major supermarkets as well as oil seeds and other agricultural commodities all around the world. My job will be, once I’ve finished training, to advise customers on what physical wheat to buy or whether or not to invest in the futures market as a form of hedging. Following the completion of my Economics degree at Plymouth, I continued my studies at the University of St. Andrews where I went on to complete a Masters in International Business. After completing my masters I started work at TORI Global, a management consultancy who specialise in the financial services sector working with tier one banks, financial institutions, insurance and wealth management firms. Since university, I've become self employed working in the betting industry. I'm earning an income from betting and have created my own brand 'Wadster Tips' where I sell betting tips to interested subscribers who then make profits themselves for a 'win win' situation for all. I've now got over 100 subscribers to my tips and have established myself for having a strong reputation as one of the leading tennis tipsters that people follow. Working for myself has been incredibly rewarding and full of variety in terms of having the freedom to make all my own decisions. This has included learning how to run a service and developing a professional reputation / image, creating my own mobile application and unique performance based tipping system in the industry and even just the enjoyment of finding bets through the analysis of tennis matches. I would not want to be doing anything else which is testament to how well things have been going!